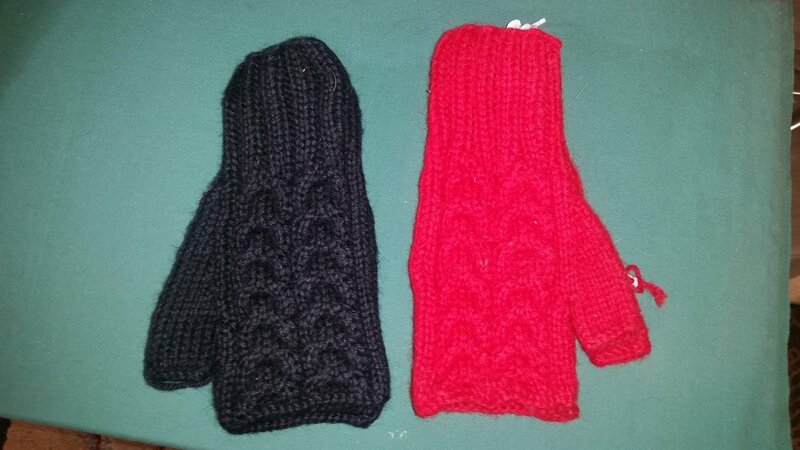 This is a thicker style fingerless glove. It has a cable style on the top. Great glove, warm, soft , fun, cute glove.